Simply put, when it comes to excellent service, our 24-hour locksmiths in Arizona are the best! Residential and commercial properties rely on locking mechanisms as part of their security, which is why locksmith services are so essential. When a home or business requires an upgrade in its locking system, you turn to a professional locksmith company for the right products and services. When you have installations that are too worn out to serve their purpose or locks that need new keys, a locksmith is an expert that can handle these situations. Our 24-hour locksmiths in Arizona are available to cater to these requirements and much more. Our team comprises of technicians with 5+ years of experience to ensure that customers receive satisfactory services whatever the problem is. You can call Pros on Call for all of your security needs. We have local, mobile units of expert technicians in several areas throughout the state. Need a lock replacement? Upgrading your home or business security? Want to rekey your locks? Pros on Call can take charge of all kinds of lock services. Our professional locksmiths are experienced in keyless entry systems, profile cylinder locks, mortise locks, and deadbolts, just to mention a few. 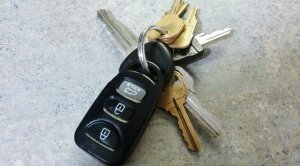 Car, home, and business owners can contact us for broken key removal, key duplication, and lockouts. Arizona businesses can protect their assets by hiring our locksmiths to install high-grade locks and access control systems. A commercial locksmith is also an advantage when you need to get your emergency exits up to code. Our mobile locksmith services make it possible to have a professional at your commercial premises in the shortest amount of time. Call us for magnetic door locks, door closers, panic bars, CCTV systems, electric strikes, and any other lock hardware you need assistance with for your business. Car owners can suffer a myriad of lock-related issues from lost keys to malfunctioning locks to ignition cylinder problems. With our automotive locksmith services in Arizona, we guarantee appropriate solutions to any of these circumstances. Our technicians are well-versed in the latest car locking systems including transponder keys, laser cut keys, and car fobs. You can also count on us the fastest car lockout assistance in the state. Sometimes you may need the expertise of a locksmith in a hurry. Imagine being stuck with a failing ignition key at midnight on a highway or breaking a key in the office lock when closing up. Emergency locksmith services from Pros On Call are invaluable in such instances. Because we have fully equipped mobile units, our response time for emergency calls is better than most companies out there. You can rest easy knowing that our technicians are standing by to help you with lockouts, key replacements, broken key removals, burglary damage repair, and other lock or key situation that requires immediate assistance. You can get a highly skilled residential locksmith from Pros On Call for any kind of lock system. Whether it’s installing a deadbolt or repairs after burglary damage or recalibration of your smart lock system, we are available 24/7 in Arizona. Our well-trained technicians can handle any project from a single lock replacement to installing systems in a new construction. Our first priority is the security of your home! You may wonder, with all the companies offering similar services, why should our 24-hour locksmiths in Arizona be your first pick? For one, we use only top tier products when installing, repairing, or replacing locks. We insist on superior quality, so we deal with names like EVVA, Yale, and ASSA ABLOY brands. Price is a huge concern when hiring a local locksmith because some customers end up with additional charges they were not even aware of. To avoid overpaying, always get a residential or commercial locksmith company with an upfront pricing policy like ours – know what you are paying for without worrying about extra fees. Pros On Call is the perfect option when in need of a local locksmith in Arizona to fix your car, business, or home locks. Our pro 24-hour locksmiths in Arizona are available for full-service installations, lock repairs, and all sorts of lock emergencies. Request our locksmith services now or call to learn more information. 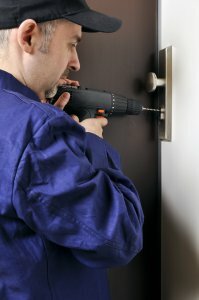 Arizona Locksmith https://prosoncall.com/arizona-locksmith/ 4.4/5 based upon 9 reviews.